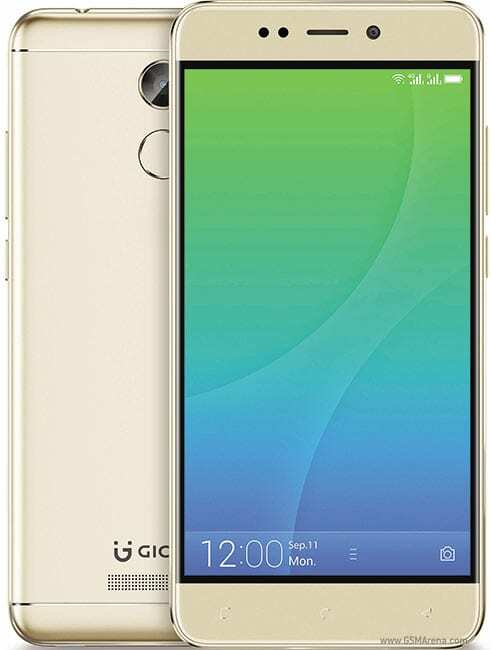 With devices like the Gionee M2017, Gionee M6, Gionee A1, Gionee S9 still enjoying a successful run and impressive share of sales across several markets in the world, Gionee is back again with yet another product, the Gionee X1S. The Gionee X1S is actually the fine tuned end product of the Gionee X1. The inclusion of the “S” is just to signify improvements, just like Apple does on its iPhones too; iPhone 5, iPhone 5S, iPhone 6, iPhone 6S etc. Now let’s take a peek at the Gionee X1S. The Gionee X1S shares the same design and build as the August-released Gionee X1. Same camera placement, volume adjustment keys are on the right hand side of the device, same as the power and lock button. However, the Gionee X1S possesses a bigger display. The display is a 5.2 inch IPS Liquid Crystal Display and has a 720 x 1280 pixels resolution. By the way, there is a new addition to the display. Unlike its predecessor, the Gionee X1, this device comes with the Corning Gorilla Glass 3 protection. With this, you should have nothing to fear whenever your device goes up against hard surfaces. Having a glass screen protector further beefs up the screen protection. The Gionee X1S runs on a MediaTek MT6737 64bit chipset and a 1.3 GHz Quad-core processor. There is an improved amount of RAM to the tune of 3 GB and the built-in internal storage comes in at a disappointing 16 GB. Though there is an SD card slot for expansion to up to 256 GB but I still think on a device with 3 GB of RAM, there accompanying ROM should be complementary; at least 32 GB or more. The X1S comes running the Android v7.0 Nougat OS out of the box and currently, there is no info as to whether the device will receive the Android v8.0 Oreo update or not. The Gionee X1S doesn’t actually follow the current trend of dual rear camera. The device has a single 13 MP lens and two dual tone LED flash on the rear. Up front, there is a more improved 16 megapixels shooter. I guess Gionee is quite cognizant of the fact that the front camera is becoming the most used camera in a device. It is a trending behavioral pattern. Like an evolution. It should be remembered that Gionee also implemented this “better selfie camera” feature on the Gionee A1 and Gionee A1 Plus which both had 20 MP front camera. Yes, the Gionee A1 Lite also had 20 MP front camera. To keep the device up and running for a lengthy period of time, Gionee have put a fast charging non-removable 4,000 mAh Lithium Ion battery on duty. The Gionee X1S sells for about 13,000 Rupees in India. That’s about $260.